When the kidnapping goes awry, all three agents seem to form a conscience, and they refuse to kill the former Nazi, not wanting “to be like the enemy.” It’s fairly obvious that this is not based on a true story, to the dismay of the silver-haired New Yawkers in the audience with me. I doubt that hardened spies would decide to “do the right thing” despite their hatred for one of the men who “decimated” their immediate families. The story is set around the time of the 1967 Six Day War, when Israel had no qualms about massacring Arabs. But what about those evil Nazis, you ask? Apparently they deserve well-publicized war crimes trials. Why? I guess putting Nazis on display might help promote the image of Jews as victims at the very moment they were killing Arabs and grabbing their land. 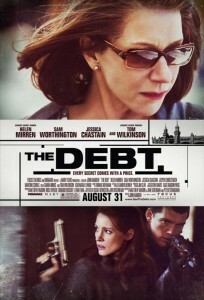 As for the Arabs, well, leave them to Spielberg. In the film Munich (also shot in Budapest), vengeful Mossad agents (sent by Golda Meier) think that the “right thing” is to mercilessly butcher the Arab terrorists who killed members of the Israeli Olympic team. Sam Worthington in "The Debt"
In one of the better scenes of The Debt, Rachel Singer, played by the beautiful waif Jessica Chastain, becomes anxious about the mission scheduled for the next day. 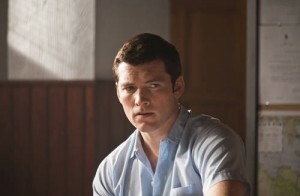 She reaches out to her love interest, Dave, played by the brooding Sam Worthington, only to be rejected. He has problems connecting, no doubt due to the death of his parents in the holocaust. 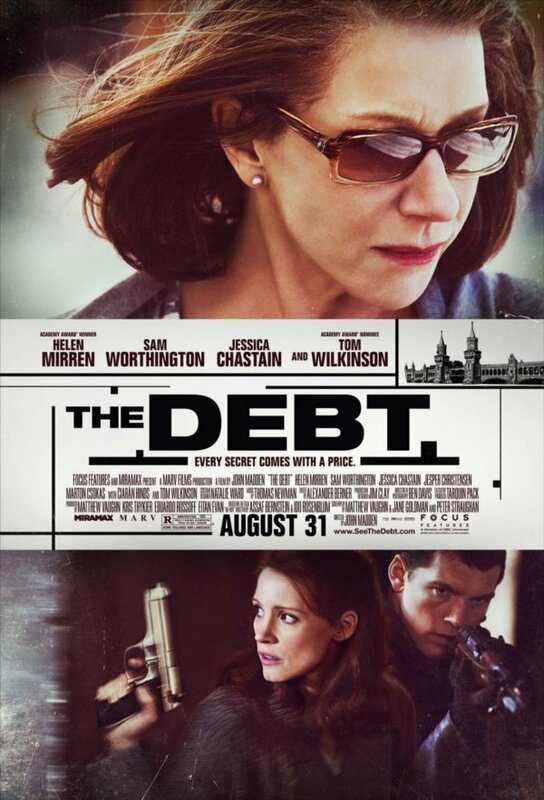 Helen Mirren, who receives top billing, has very little screen time, because the majority of the story is a flashback in which her character is played by a much younger actress. 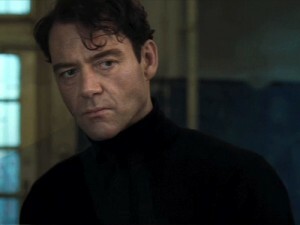 Marton Csokas in "The Debt"
As Mossad revenge movies go, Munich is far better. The agents are more plausible psychologically, and frankly I find their uncomplicated moral ruthlessness in defending their people admirable.